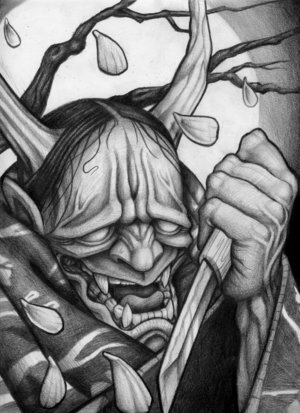 I’ve always been fascinated by anything that’s Japanese; the food, the culture, the humor, their history, architecture, the sword, the armor, the tattoos and more. 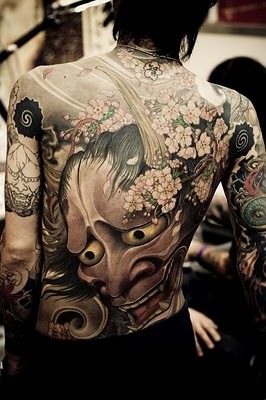 I am specially fascinated by the Hannya. Be it in a form of a tattoo or a mask. 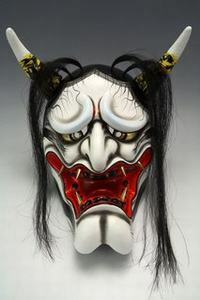 It is said that the frightening Hannya mask portrays the souls of characters who have gone mad from jealousy. In the Tale of Genji the story goes: “The shining Genji’s wife, Aoi, is possessed by an evil spirit and confined to her sickbed. An itinerant mountain priest is summoned, and while he is offering incantations and prayers, the protagonist, the spirit of the shining Genji’s old girlfriend, the Rokujo lady, who is jealous of his affection for Aoi, manifests. The priest wages a bitter spiritual battle with the Rokujo lady, and at last the revengeful ghost is vanquished by his prayers and attains Buddhahood. 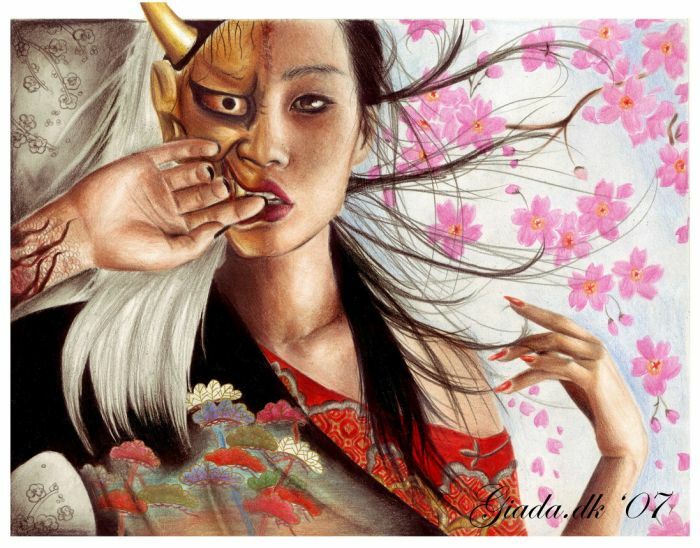 It is noteworthy that the evil spirit never takes off the hannya mask throughout her transformation into a Buddha. The Rokujo lady is still disturbed, but in the releasing of her madness she discovers a path to salvation, thus demonstrating that madness and sanity, suffering and salvation, are not unrelated to each other”. As you might already know, I also am fascinated by motorcycles and things that are associated with it. 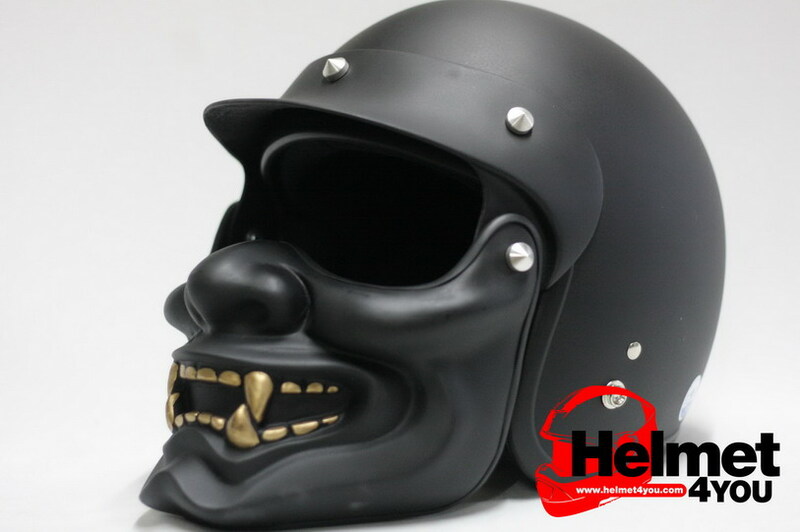 I found a helmet inspired by the Hannya and is called “Black Ghost”.